So I have a roll of pink dyneema that I used to make slings for my nieces. I don't really know how to make any different style pouches but the material is perfect for the sling arms. Was wondering if anyone would like to do a trade. A pouch of some sort for dyneema arms in any length (within reason). I can also make sling frames. Dyneema is a strong fibre with minimal stretch. 1.5 mm and rated to around 600kg. I'll take some photos of arms and frame soon. 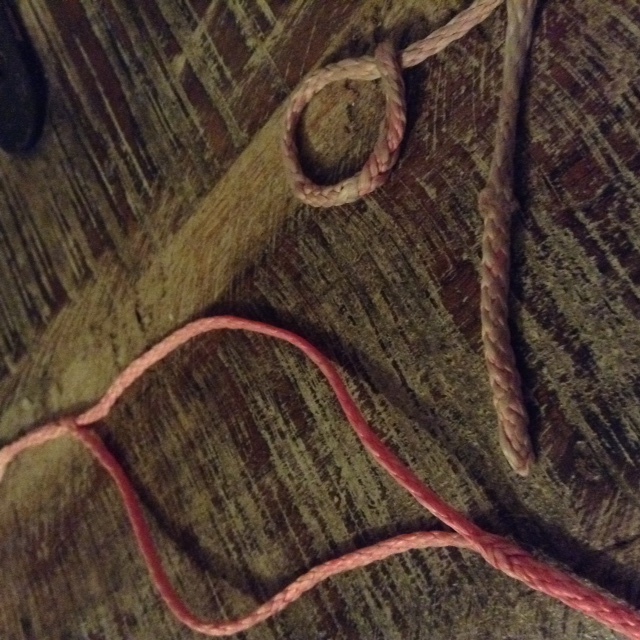 The left is the "frame" and on the right the finger loop (choking) and stopper knot. The Arms will obviously have one of each and on the other ends a small loop for choking onto the pouch. The frames come with arms spliced on. All the joins are splices. Most splices are brummells. With a small bury. You can whip them but I choose to keep them unwhipped. Also pink colour eventually wears off and cord becomes softer(right side).